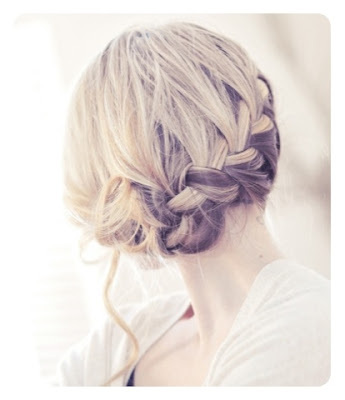 is seeking out hair tutorials. who post up videos or photos to show you exactly how it's done. which you can find loads of videos for on YouTube. and then went to bed with a huge bun atop my head. 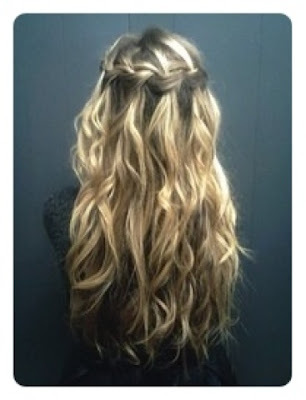 So here are some other inspiring hair pictures I've found lately. 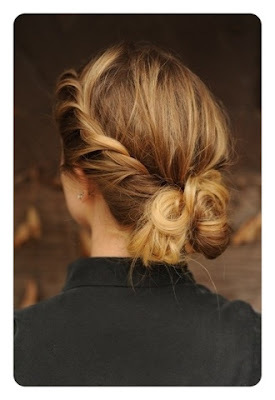 I love this twisted back bun. 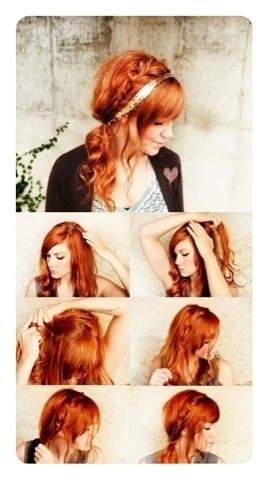 and would be perfect for those 'don't have time to wash my hair today' sort of days. This doesn't look too tricky either. just not sure I've got quite enough hair for this one. Maybe with a bit (lot) or mousse? but I might be able to get something similar. it looks a bit trickier than the other two. I'm currently working my way up to a trendy top knot. as a mummy, I'm a bit old and grown up. just not quite so high. I'll get there in the end, I'm sure. I've actually done this one. My husband said I looked like a peasant. What does he know anyway? Can't wait to see what's inspired you lot lately.